According to Rise Newsletter April 2018 , the month was full of important events. The main event was the release of RISE TypeScript Core 1.0.0 to mainnet covered by our website. It can be downloaded, instructions are available in their Github repository. Another important news – RISE was listed on OctaEx (Octal Bit Exchanger), a new Chinese cryptocurrency exchange, which is quickly gaining popularity. In addition to English, OctaEx available in Thai, Mandarin and Cantonese. RISE will be listed on Exrates.me (the exact date is to be announced later). In the meantime, you can check the Exchanges page on the RISE website for where RISE is available. The development team now has two new members. Mart has joined the team this month, he is a polyglot developer, with over 15 years of experience crafting web, desktop, mobile applications and backend software. Mart will be creating new RISE wallets that will be user-friendly and easy to maintain going forward. Secondly, Rajesh has also joined the team as a Community Manager, with experience in managing crypto communities for over 20 ICO’s to date. He is also a programmer interested in adapting blockchain technology. 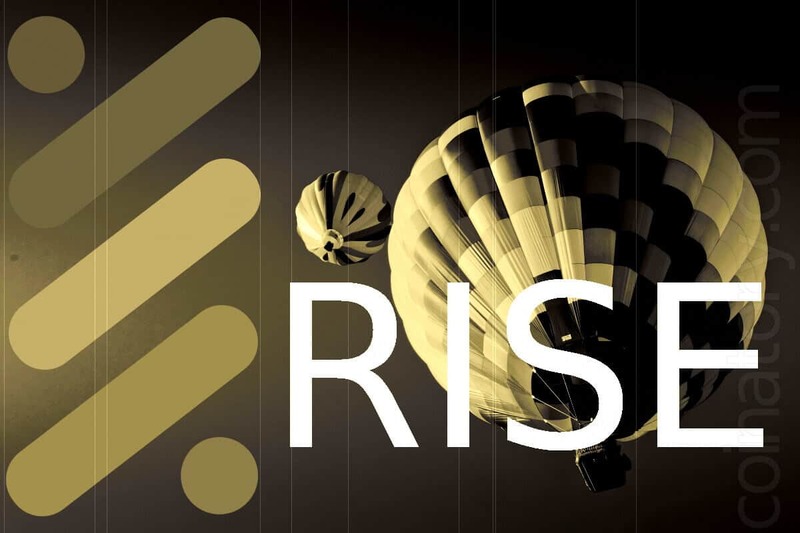 The thing to mention is the launching of the new and improved RISE website in April. 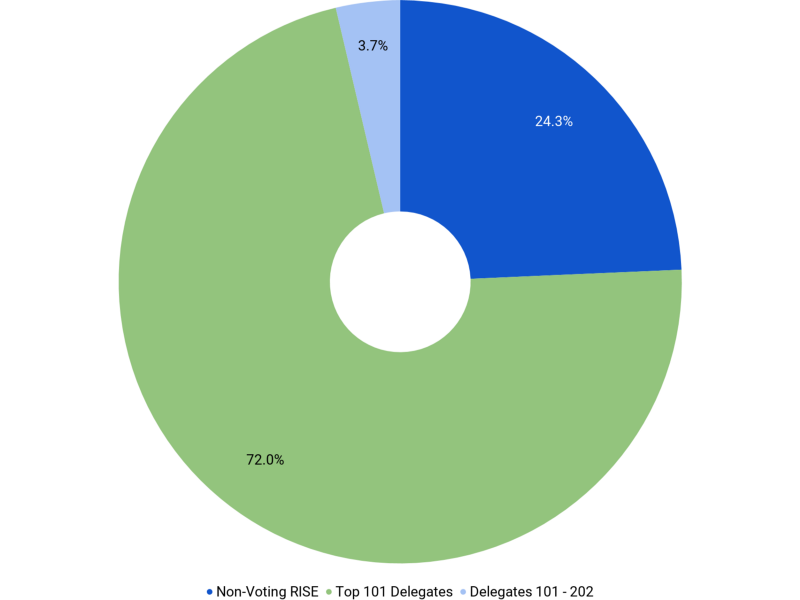 The below chart highlights the number of RISE voted to elect the 101 Delegates (89,167,730) and then 101 to 202 Delegates (4,556,224) securing the network and non-voting RISE (30,105,041). Total RISE Supply 123,828,995. Chart generated 30th April 2018.